Liliana is COFUND research fellow at INL working on the development of microneedle-based devices for drug delivery. Liliana has a graduation in Biochemistry from the University of Coimbra (Portugal) and a Master degree in Biomedical Engineering from the University of Aveiro (Portugal). The M.Sc thesis focused on the development of chitosan-based gene delivery vectors, supervised by Ana Paula Pêgo from INEB. 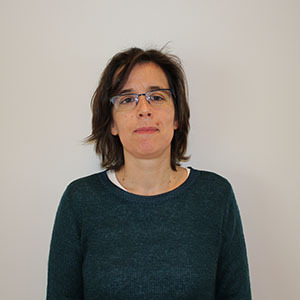 Liliana obtained her Ph.D in Biomedical Engineering at the University of Porto (Portugal) in 2014 working with the same team on the development of scaffolds for regeneration after lesion in the spinal cord. LR Pires, F Marques, JC Sousa, J Cerqueira, I Mendes-Pinto. Nano- and micro-based systems for immunotolerance induction in Multiple Sclerosis. Human Vaccines and Immunotherapeutics 12 (7): 1886-90 (2016). Bridging the lesion—engineering a permissive substrate for nerve regeneration. Regenerative Biomaterials 2 (3): 203-214 (2015). LR Pires, DN Rocha, L Ambrosio, AP Pêgo. The role of the surface on microglia function – implications for the central nervous system tissue engineering. Journal of Royal Society Interface, 12(103): 20141224 (2015). LR Pires, V Guarino, MJ Oliveira, CC Ribeiro, MA Barbosa, L Ambrosio, AP Pêgo. Journal of Tissue Engineering and Regenerative Medicine. 10(3): E154 (2016).